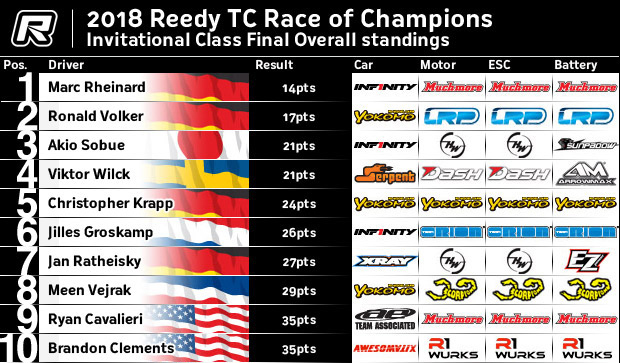 www > Race Report > Marc Rheinard 2018 Reedy Race of Champions 7th times WINNER!!! 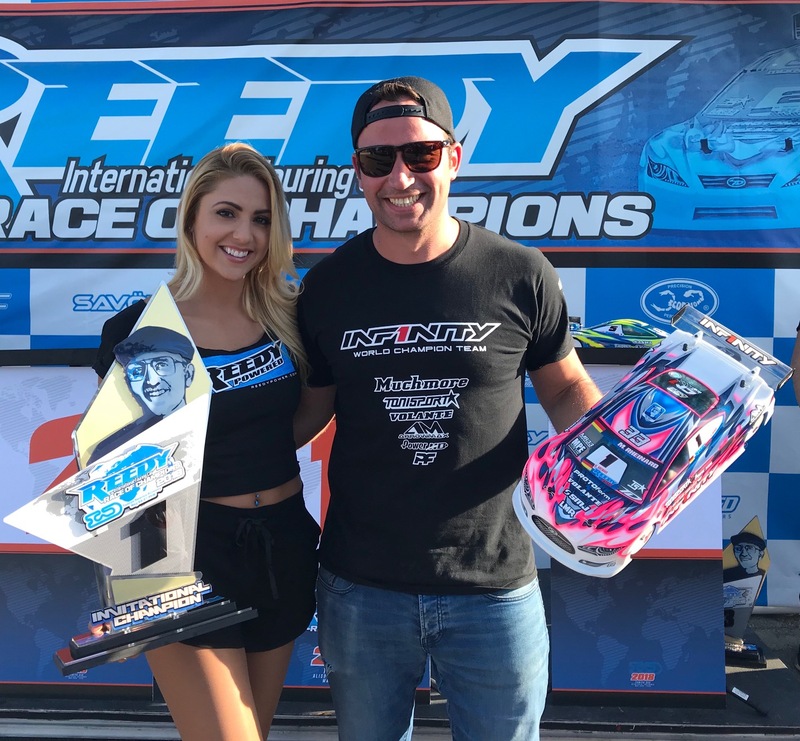 Marc Rheinard 2018 Reedy Race of Champions 7th times WINNER!!! 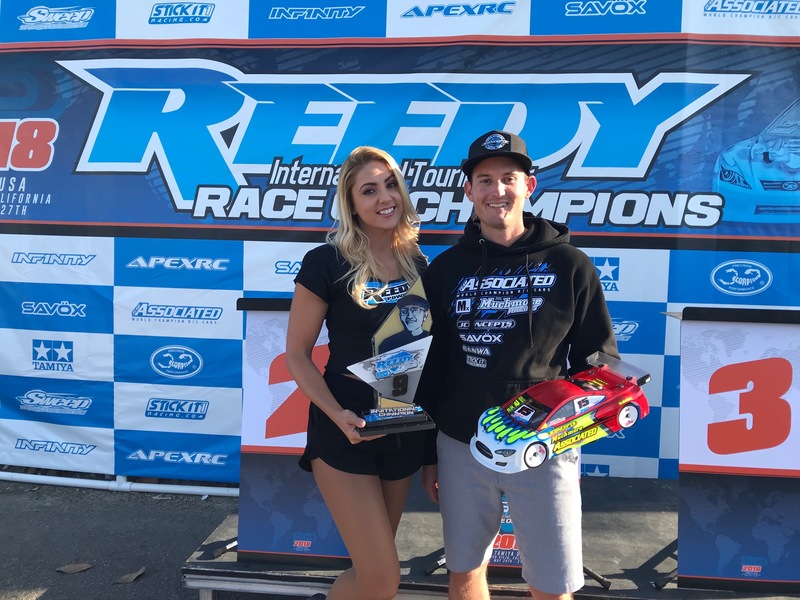 The 2018 Reedy International Touring Car Race of Champions was held this past weekend for the last time at the World Famous Tamiya Raceway in beautiful Aliso Viejo, California. 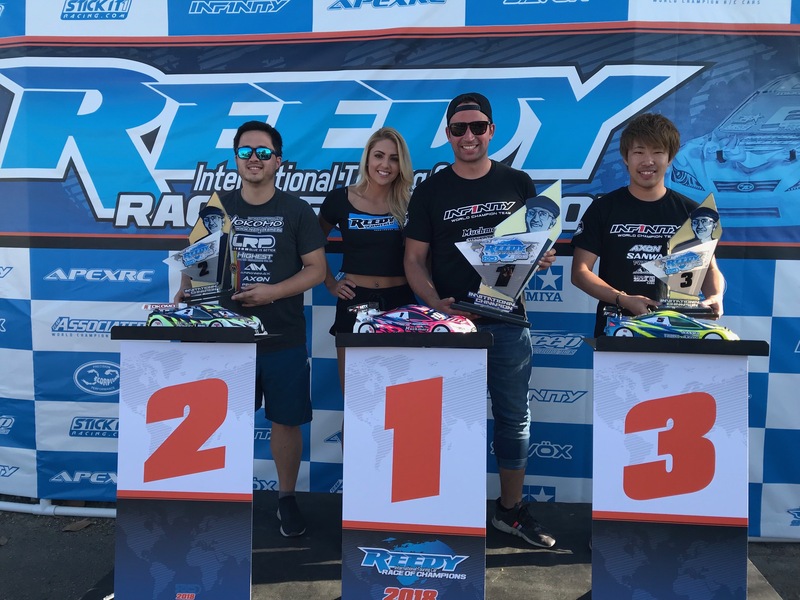 Muchmore factory drivers Marc Rheinard and Ryan Cavalieri were both in attendance and competing in the ultra competitive Invitational class! Also on-hand was Muchmore Japan CEO/Owner Yusuke "Koba" Kobayashi and Muchmore USA team manager Joe Pillars to help assist all Muchmore team drivers and customers at the event. 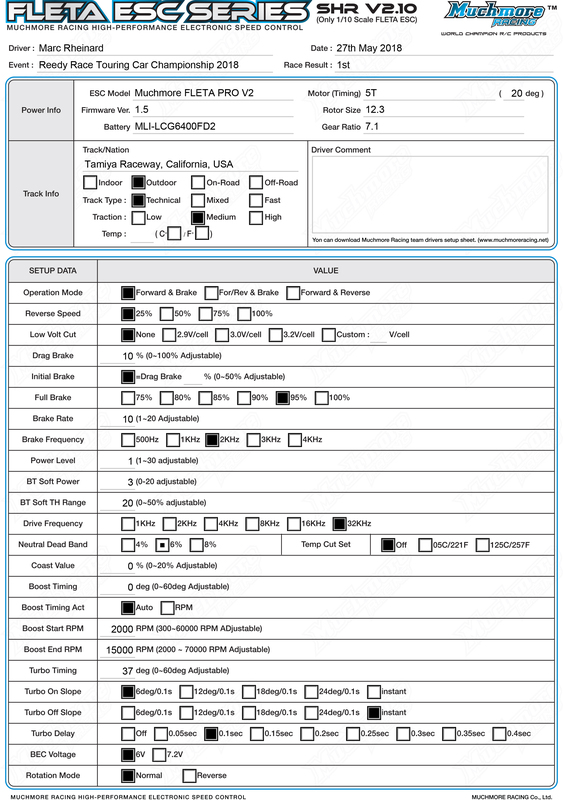 The Invitational Modified Touring Car class would see some of the best talent the World has to offer. Touring Car World Champions; Marc Rheinard, Ronald Volker, Jilles Groskamp, Andy Moore, and Atsushi Hara all competing! 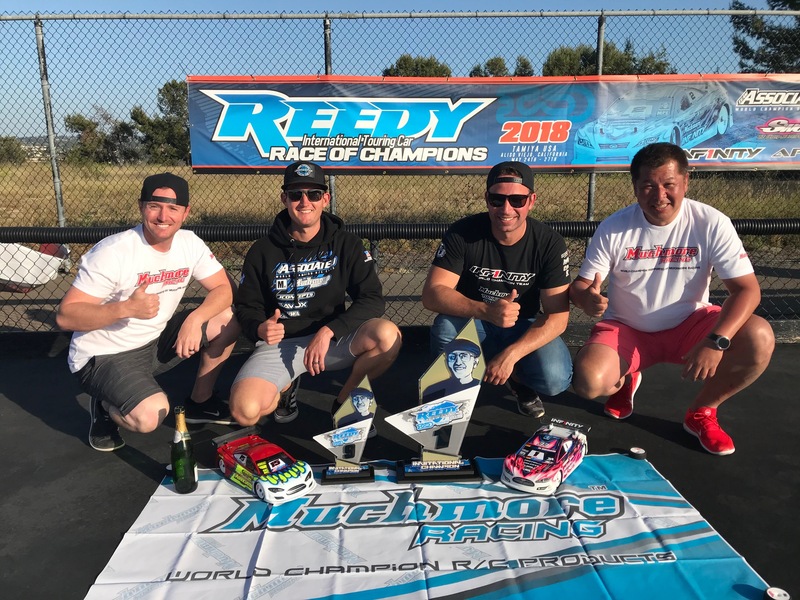 After 12 rounds of intense heads up racing were complete, it was Muchmore's Marc Rheinard taking the overall Win and recording his staggering 7th Reedy Race Invitational Championship! 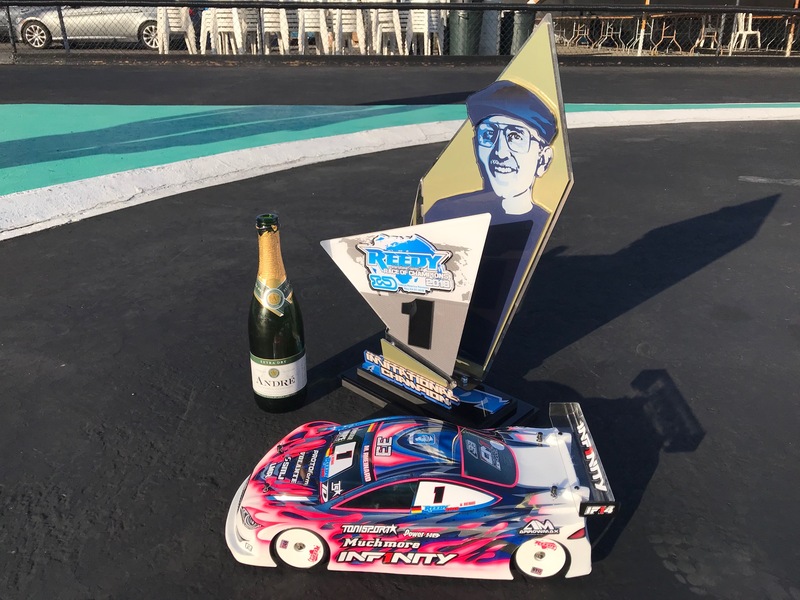 Marc would go onto take the overall Win by 3 points over Yokomo's Ronald Volker who put up a tough fight all the way to the end. 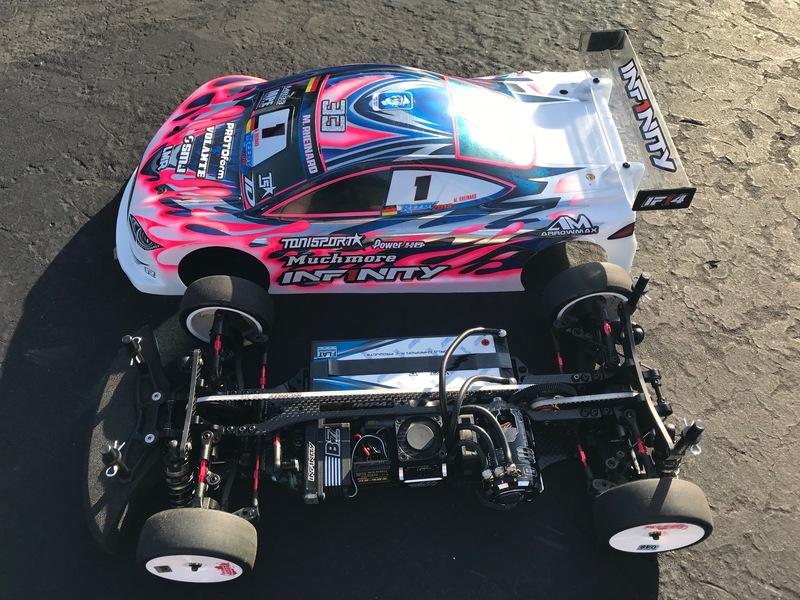 Muchmore's Ryan Cavalieri put in a great performance by winning 3 big heats and taking 9th overall to be the highest finishing American driver! "New" - Muchmore Hybrid Touch Duo AC/DC Balance Charger & Discharger: Coming Soon!